I have not actually followed the whole season since I have no time in watching the series on TV. Also I find the season quite bland but I still believe that there are still worthy talents that deserve a break in the music industry. I liked Crystal Bowersox for the quality and musicality. Although I think that one winning factor of Lee Dewyze is is evolution from a good singer into a great one. I almost forgot that this was the last American idol of Simon Cowell, even though he is mean sometimes, he has a point and also gives a challenge to the contestants. I think, even if I have missed this season, I might get back again and still live the American Idol dream. By the way, I actually watched the Finale at Greenbelt 3 cinema sponsored by Greenwich. So there were food, photo and some souvenirs so I would really enjoy Idol fever! Its not only women that would say that their hair is their crowning glory. Us men also consider it also as a great asset. I admit that I have neglected my hair and scalp health and luster. This is caused by being exposed to the sun and the other elements like pollution and chemicals like gel and wax to get the desired shape. And recently I wanted to make it up for my long-damaged hair. So I am discovering new ways to revive and make my hair more smooth and manageable. I look like this everyday I would wake up. But of course I wont go out without fixing my messed-up look. My hair is a little bit curly so I would be a challenge to fix this one. Bad Hair day will always be my daily struggle. 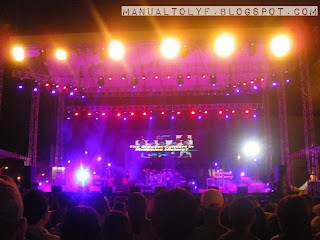 SM Cyberzone Summer Festival Adventures: Final Stop! The Philippines boasts of sun-kissed shores and balmy clime, but its natural treasure lies in its talented people. In recent years, a long line of illustrious Philippine citizens have stepped on the world stage, and shone under the limelight, grabbing glory for the country, for each of their countrymen to share – indeed, bask in. We are all familiar with Manny Pacquiao, Efren Peñaflorida and Lea Salonga, who have all glorified the Philippine flag in sports, education and the arts, respectively. They are but a few from a million Filipino heroes around the world. 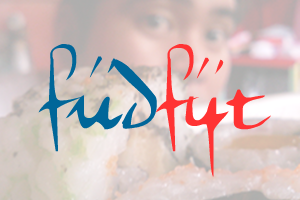 Fud Fyt Is Now Officially A Blog! Fud fyt has been a segment of Manual to Lyf as the food Authority even in the multiply blogging days. And I have noticed recently that there is a NEED for this segment to put up a notch and give it some independence. And since Food Blogging has a lot of things one can talk about which I can add more substance and flavor to it. Like a dish it should be subjected to something new, like experimenting. And even if has its own spot, It still remains a important part of how appreciate food, flavors and all the other elements. 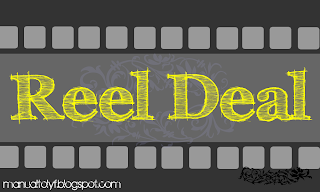 I am still working on the blog for its initial post and also archiving some other posts that I have complied in my multiply account. So in due time, it can actually be a book about food plus more interesting and mouth -watering post that will make you go into a Fud Fyt! Six Giant Inflatable Pools Launched at EK Biki Waterworld In anticipation of the extended summer season and in response to a lot of guests' clamor for water attractions at this time of the year, Enchanted Kingdom, the Philippines’ premiere theme park, and BiKiWorld of South Korea have agreed to set-up the first and only world-class inflatable water park in the country, the EK BiKi Waterworld. "Focused on achieving our vision to be the leader in wholesome family leisure and entertainment and to be a tourism destination of choice in the region, we shall continue to introduce rides, attractions and facilities that cater to the needs of all family members, regardless of age, and regardless of the season of the year,” said Cynthia R. Mamon, Ph.D., EK’s VP for Sales Marketing. "EK BiKi Waterworld has a variety of six giant inflatable pools with water slides, games and rides that families can enjoy in a safe and hygienic water environment,” she added. The Then and Now Music Festival is probably the longest concert I have been to in my entire life but this is also one of the most number of international artist gathered in one event. Its a Audiophiles' dream to hear the original artist of today and the early 90's. It was a fusion of both eras and also a musical roller coaster as you will venture into pop, hip hop, r & b, and other genres that made hits. Artists like Jojo, Diana King, PM Dawn, TQ, Frankie J, Baby Bash, SWV, All for one, and V Factory make up the concert which I think lasted up to 4 to 5 hours! A timeless horror classic has been remade for the new generation. A more twisted tale and more gruesome deaths, Nightmare on Elm Street makes its way to the screen as a remake fitted for the new generation. And since there have been a lot of remakes of this character in many films even a crossover with another killing machine Jason. The film centers into the lives of teenagers who happens to be connected by a certain past. This past came to haunt them in their dreams and making it into nightmare. And these nightmares kill. The story of Freddy Krueger has been intriguing to me since I have not yet seen the original one, but it made it clear that it yields a twisted persona that gives shivers even without the slashing. SM Cinema's search for the best independent film makers in the country, “Big Shot”, was launched last May 5, and is set to revolutionize the Philippine film industry. The launch was simultaneous with the special screening of Bakal Boys, an indie film about children metal divers, supported by Apogee Productions, San Beda College, and the Aquino Foundation. The screening was graced by the presence of respectable personalities like Fr. Aloysius Maranan, San Beda College Rector; Apogee Production's Mr. Albert Almendralejo; and Mr. Rapa Lopa of the Aquino Foundation. During his speech, Mr. Lopa emphasized the role of the cinemas as innovative venues for social awareness. As everyone appreciated the well-applauded execution of Bakal Boys, Mr. Allan Florendo, SM Cinema's Sales and Marketing Head, went on to encourage the guests to join “Big Shot” and be a part of Philippine movie history. Elections Almost Over, Lets Recap! The time has come for us to be part of history. 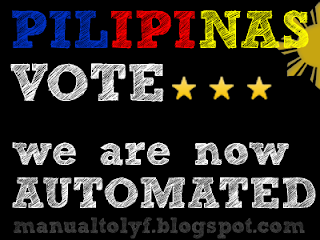 This is the first automated election in the country and will be known even after centuries to come (if 2012 will not perish us all). 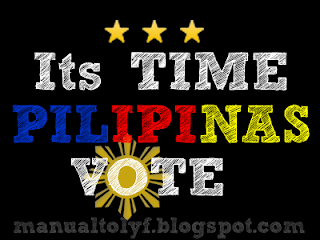 This is also a day for us to exercise our right to suffer ... este suffrage in other words, vote. I have still some positions that I am still deciding who will I choose. Also this is the first Social Media Coverage of the elections. We should also take caution and vigilance with the different forces that will clash later. Also I would like to still and ever continue to ask to vote according to your will and make sure that the one you chose is the one is the one you will not regret after this. Be firm. many would still be undecided up to now, yet keep your vote sacred. I have finally decidecided with the president and vice president but my senatoriable list is still not complete but here are my some who could make it to the list. For now these are my confirmed choice. I have been researching and deliberating their ability and effectiveness if ever they will be elected. Like Gordon, which I have chosen because he has proven himself and also shown results with all the positions he held. I like in a candidate who is a visionary and also an innovator. The Gordon-Bayani team have proved their worth. The problem for me would be completing the senatorial list and the local positions. I am not really Illongo but of course when it comes to food there is no regional exclusiveness. And so far I am really interested about knowing more about the Illongo cusine aside from just La Paz batchoy. Marina restaurant which came from that region originally is emerging as the place for dining especially for seafood, more particularly osyters! I was invited to have tthis food trip that was a mix of sea foods and meat favorites like chicken and beef. But I really have to raise a golden spoon for how good those oysters can be! Full story now promoted on Fud Fyt blog. 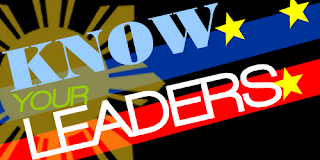 I know that most of you may not have not yet completed the list of your 12 senatoriables, and that would sometimes lead to "bara-bara" voting since we focus too much on the president and vice president. However, it is very important that we choose the legislators wisely. 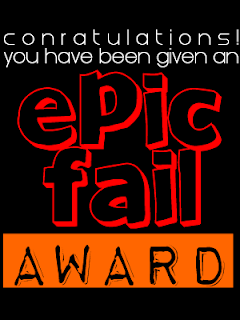 And to aid us with this here is the complete list of the qualified senatoriables. According to the latest list the approved candidates are 61. Some have articles in wikipedia while some does not have any page but have provided links and official websites hat would provide information about the candidate. Choose and vote wisely. SM Cyberzone Summer Festival Adventures! If the summer heat makes you feel uncomfortable to spend your vacation, why not drop by SM Cyberzones in SM Malls and experience their one of a kind, SM Cyberzone Summer Festival! And for the first stop, its SM Southmall Las Pinas! Its actually a long way from my house in Pasig but I was curious and thought that this would be an different experience and could be an adventure, and what is interesting is because on that day would happen to be my birthday! And my favorite hangout in the mall would be the cyberzone which filled with a lot of gadgets, games and a lot of interesting things plus there is also free wifi!